With almost 20 years in the health and fitness industry, Louise brings experience from many disciplines to her work with clients. She holds a B.A. from UMBC and is an ACE Personal Trainer, Precision Nutrition coach, a Functional Strength Coach and received a coaching certification from Results Coaching (now the NeuroLeadership Institute). She is a practicing massage therapist for 18 years, with extensive continuing education in the fields of massage and bodywork. In 2015 she apprenticed with the late Robert Duggan, founder of the Tai Sophia Institute (now Maryland University of Integrative Health) and pioneer in the field of Integrative Health. She believes deeply in the words of Thoreau: “I know of no more encouraging fact than the unquestionable ability of man to elevate his life by conscious endeavor”. Beth’s focus as a functional strength and nutrition coach is to educate and empower her clients to become confident and self-sufficient to walk the path towards a life of strength and wellness. Having struggled with her own fitness and weight issues, Beth has experienced first-hand what it takes to make the personal commitment to a healthy lifestyle. She strives to inspire her clients to reach their short and long term goals by manifesting their hidden strength and abilities. She has been a ACE Personal Trainer for over 12 years and is also a Precision Nutrition coach, a Golf Conditioning Specialist through Titleist Performance Institute, and recently received certification as a Functional Strength Coach through Mike Boyle Strength & Conditioning and Level 1 Original Strength. 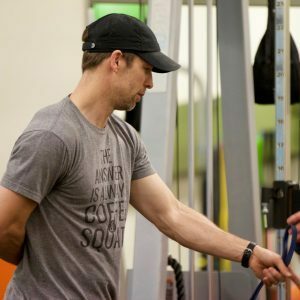 A competitive athlete in high school and college as a wrestler, soccer player, and martial artist, Jim is now a Certified Strength and Conditioning Specialist (CSCS) with over 15 years in the fitness industry. Jim has worked with clients age six to eighty-two, including special populations. One of Jim’s specialties is training people to run in races, from 5K to Marathons, and has successfully completed many of these himself, including the grueling 6th leg up and over South Mountain in the American Odyssey Relay from Gettysburg, PA to Washington, DC. In 2018 he was voted “Best Running Coach” in What’s Up Annapolis – thanks to all his successful and happy running clients. He also is a contributing author to “Your Fitness and Nutrition Questions Answered” by the Benchmark Publishing Group. A former college cross country runner and marathoner, Rebecca is an ACE certified Personal Trainer, Certified Functional Strength Coach (CFSC), Mad Dogg Athletics certified Spinning Instructor, and Mossa certified group fitness instructor. She now focuses on strength training and healthy eating habits to help clients enjoy overall fitness, real-world durability, and healthy movement patterns. 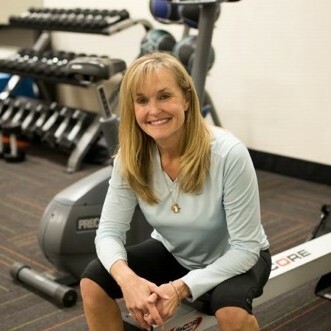 Her goal is to make fitness and healthful living fun and accessible to all ages and fitness levels and to help clients reach their fitness goals. Ann (left) is a National Academy of Sports Medicine Certified Personal Trainer, Weight Loss Specialist and Fitness Nutritionist. She started coaching high school field hockey and lacrosse right out of college, which ultimately led to her decision to become a Personal Trainer. With over 20 years of experience as a coach she continues to help position athletes to reach their full potential. In addition, she now enjoys combining her experience as a successful coach with personal training to help her clients balance fitness and strength training with proper nutrition. She currently serves as the Head Field Hockey Coach at Hood College in Frederick. Ann believes that a commitment to staying fit and eating well position you to lead your best life. She has earned additional certifications in TRX and Mental Toughness and Flexibility. 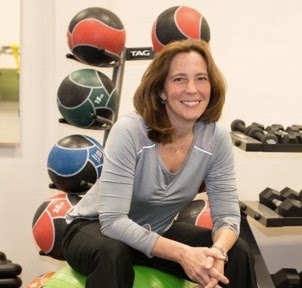 Amy has been training Arnold and Severna Park residents for over five years. She is an ACE-certified personal trainer and also holds her CrossFit Level 1 trainer certificate. She came to strength training after years of playing team sports (lacrosse and field hockey) and competitive running. Amy believes that building strength – gradually and over time – is the cornerstone to good health and an active, independent lifestyle. She is passionate in her belief that no one – man or woman – should feel compelled to jump on a treadmill at the gym because they don’t know what else to do (and she would LOVE to show you all the great and wonderful possibilities that strength training offers). She also believes that training functional movements with an appropriate and balanced program will help her clients to avoid injury and to be even better at all the things they love to do outside the gym.